Why make your customers search for your business deals each and every month when you can send them directly to their phones? Did you know that 64% of customers prefer to receive text messages and deals directly from businesses that they shop at the most? Did you also know that 99% of text messages are open within 3 minutes? The way customers are doing business is quickly changing. Everywhere you go, you see people on their phones. So why are you not their phone? How can Bullseye Loyalty help? Simply by offering your customers digital deals! Place your deals on our website for when eager customers come looking for them. When they enter their phone number, Bullseye Loyalty automatically sends it out for you! Need Proof? We provide you analytics on how many deals have been sent out and how many have been redeemed each week. Want to make changes? The newspaper will laugh. Easily make changes to your deals anytime of the week. Did we forget to mention that you can send deals out to those customers again? That's right, after customers have opted in to receive your deals, you can send them more every week or month. Need more exposure? Don't pay the high prices of paper to get the word out about your business. 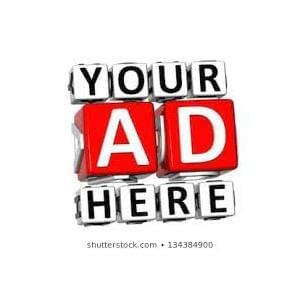 We can get you in-front of more customers for less through strategic ad placement on social media! Not to mention that your customers can share those deals with their family and friends! Let Bullseye Loyalty bring you closer to your digital customer! Try below by entering your phone number! You agree for Bullseye Loyalty to send you text messages in regards to the loyalty program, deals and other offers.